It is one of the most dreaded nightmares for writers everywhere. It is the one that keeps us up at night–haunted and staring at a computer screen. It is absolutely paralyzing, and (if nothing is done about it) could lead to the demise of a piece of work. What do we do about it? Well first of all, we need to acknowledge this fear for what it is. Writer’s block is when a writer of any kind gets stuck–whether it be creatively or motivational. It’s important to know that everyone gets writer’s block; even Stephen King battles it! That said, it can be conquered. 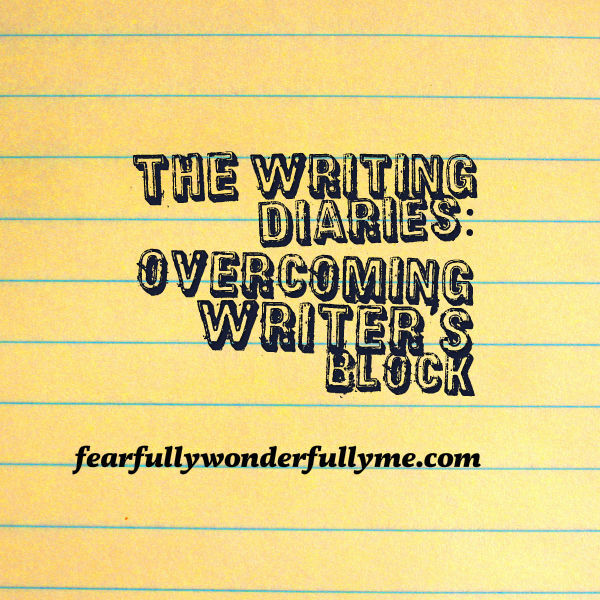 Here are three ways to overcome writer’s block. Sometimes the only way to get past life’s storms is to go through them. This is the same with writer’s block when you lack motivation. Instead of racking your brain trying to resist the blockage and writing whatever it is you think you should write, just go with the flow. A good idea is to set the mood with some music. You can always practice some creative writing prompts or write down poetry (it makes you a better writer anyway). The key is to sit there and get something down on paper. And yes, I mean paper. The worse thing you can do when you are stuck or unmotivated is to be connected to the internet. Unplug and get out your notebook! Don’t leave until you write something! Sometimes writer’s block is a creative slump–which is always the worst kind. Your words don’t flow, and you feel like someone with absolutely no talent (which is a lie). A great way to spark creativity is to think outside the box. Let’s say you are writing a story about two orphans on a journey in the forest to find their long-lost parents, but you get stuck. Maybe you need to re-imagine these characters somewhere else. Write about these little orphans as if they got lost in a Wal-Mart. Maybe you need to shift the perspective and look at the story through the parent’s eyes! Or perhaps you can create an interesting (although temporary) plot twist. Maybe a tornado will come and the orphans need to find a place to hide. Who knows, this plot twist may actually be the very thing you needed in your story! Shift the perspective to a minor character. How are they viewing life? Create a random plot twist (even if it’s temporary)! I’m not sure what blog I found this precious nugget of advice, but it is priceless. This tip can cure writer’s block whether it be a motivational or creativity problem. Before you stop writing, always make sure you leave off knowing what happens next. If you read my last post in this series, How Not to Start a Novel, then you might remember my advice of creating a plot outline. This will guide you through your story–one plot twist to the next. It’s essential. One of my biggest issues with writer’s block with this first novel is that I would have no idea what to write next. The point is to stop writing before you run out of ideas. All you have to do is jot down a sentence or two for when you come back. Bam. No more excuses. Doing this allows you to get your thoughts running so you can generate new ideas as you expand on yesterday’s. Check out this blog, where I found a piece of wise advice excerpted from the great Stephen King himself. Sometimes we run into writer’s block because the story has gotten too boring. He suggests adding a new problem/tragedy. It’s kind of like my plot twist idea…only more professional. This is a really lovely post. I handle writer’s block by staring at my Note-pad, while listening to the radio in my head. It’s beautiful, It’s tiresome and I almost always win. Thanks for sharing! I love your idea of smart endings 🙂 welcome to my blog! Great advice! As I fellow writer, I can speak for myself in saying that I always do better when I have music (relevant to the scene, kind of like a movie soundtrack) and my lights over my bed turned on with the rest of the lights out. It kind of looks like Christmas lighting, but plain white, and keeps the room pretty well-lit. Also, I completely agree about getting off the computer when you have writer’s block. When I do that, I end up wasting my time and getting pretty distracted. Awesome! Yes, music is definitely a must. I also have Christmas lights in my room so I will have to try that. Thanks for posting!